In February 2015 we became the owners of a sweet 13th century "cottage" in the Dordogne, called the Little House or La Petite Maison. Our view from the patio is of a 13th century chateau still owned by the family who built it, and of a Knights Templar cloister. The house is set in the Golden Triangle, an area of 13th century castles, bastides, prehistoric caves full of paintings, river cruises in gabarres down the Dordogne and Vézère, and markets and restaurants full of truffles, walnut cakes, and lots of duck and goose. We had discovered the area through the delightful Bruno Chief of Police mystery books of British author Martin Walker. www.brunochiefofpolice.com. On the cover of Martin's first mystery BRUNO CHIEF OF POLICE is a medieval Sarlat street scene which is 19 km from the house. Martin, without you, we wouldn't have our precious house. We stayed in The Little House in October 2014, and discovered that it was for sale. We made an offer, it was accepted, and we settled in early February 2015. Of course it wasn't quite so simple, but the pieces of the puzzle fell into place remarkably quickly. None of it would have happened if we hadn't had an English previous owner, a fabulous bi-lingual real estate agent, and a bi-lingual Notaire to settle our property. Then, since it was our hope that the property would remain a holiday rental for part of the year, we made two perfect connections, an English property manager who would do the changeovers, cleaning and watch over the house, and an English man-of-all-work who we could call for plumbing and electrical repairs. 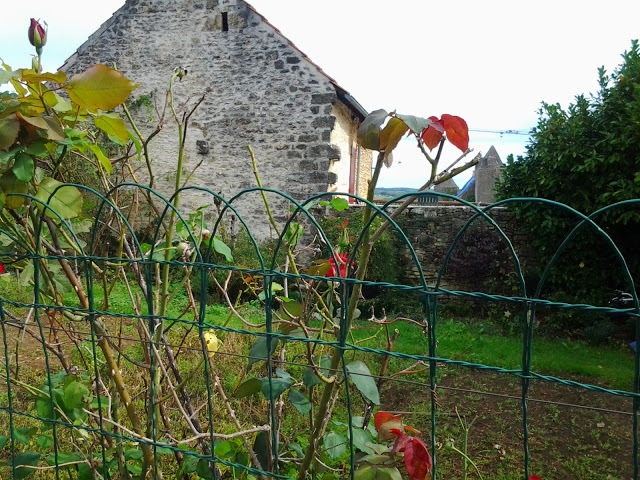 You can share our Little House in France with us. The Chez Nous link is now live. Just type in our number 267001 and you can see the Little House and book it through us. I will be using this blog to share thoughts, pictures, history and travel links to the region. I hope you'll follow our journey. As we say in France, merci and bonne journée!